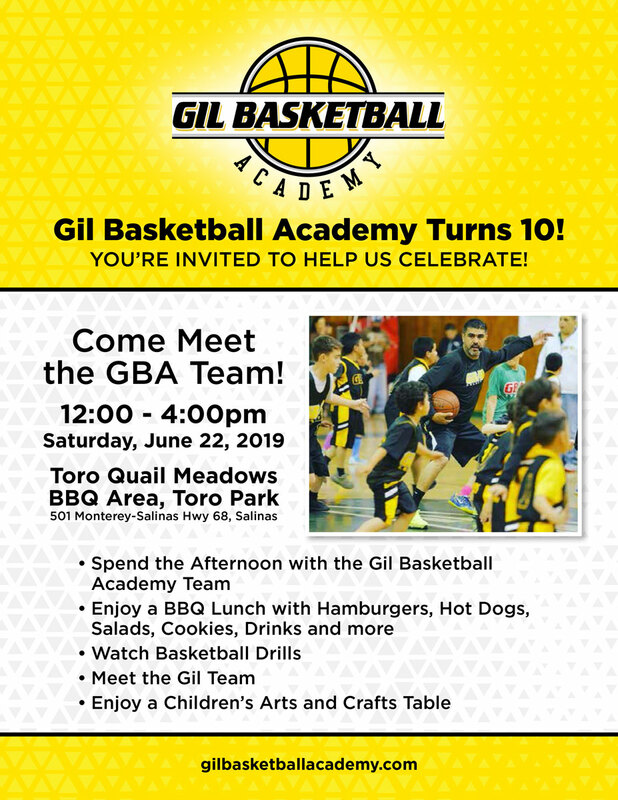 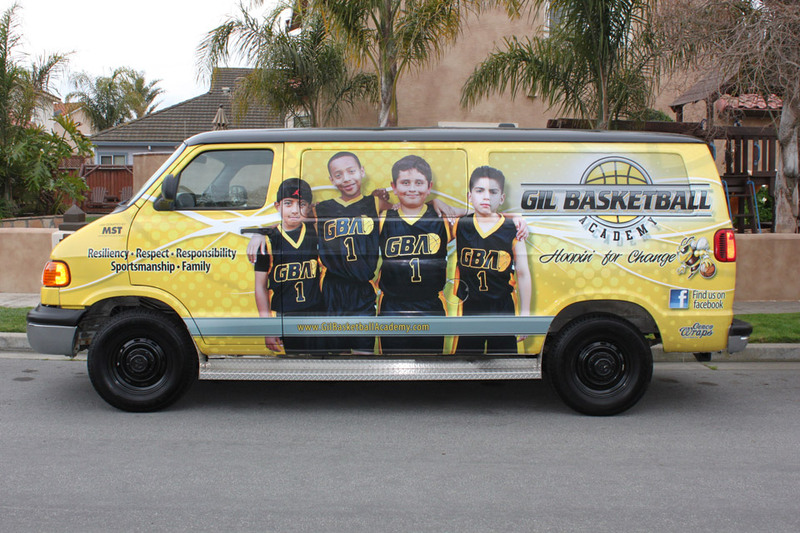 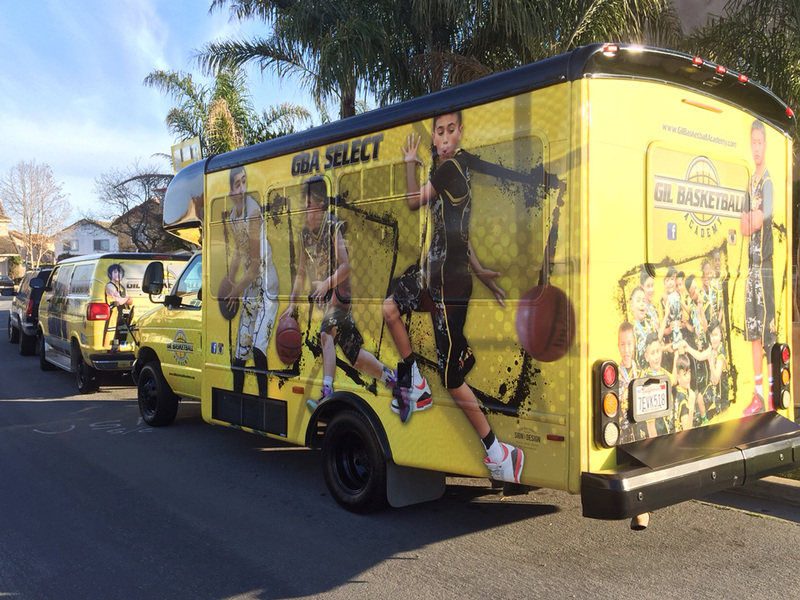 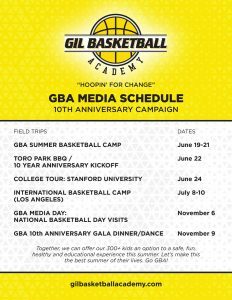 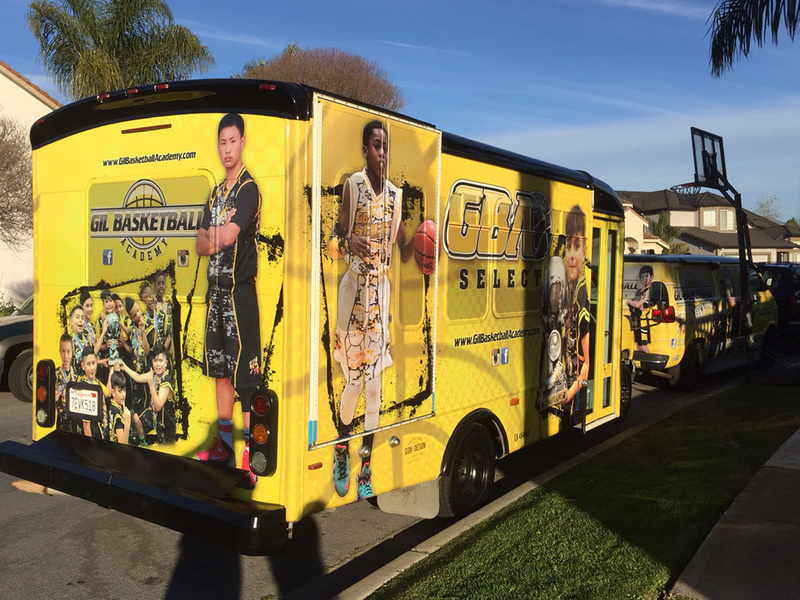 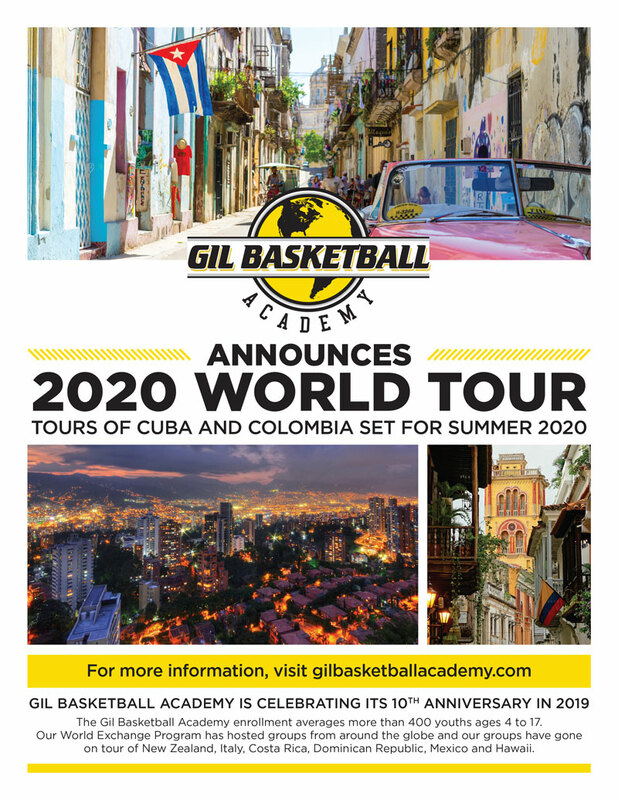 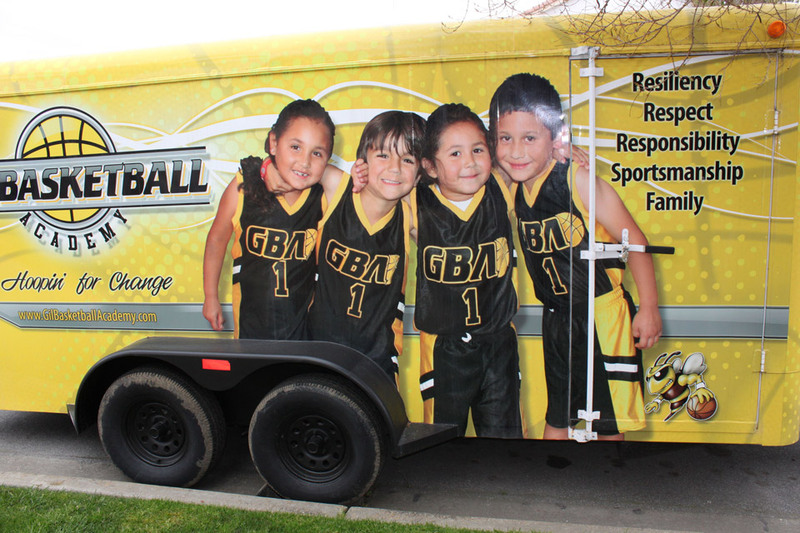 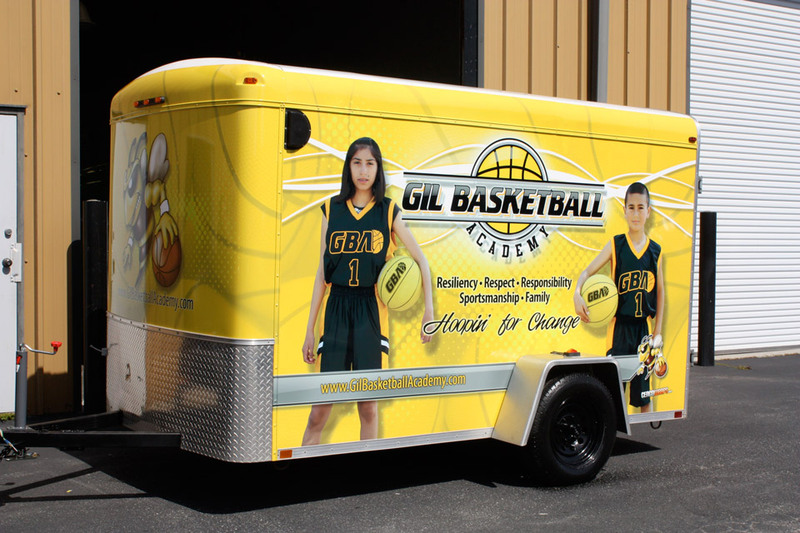 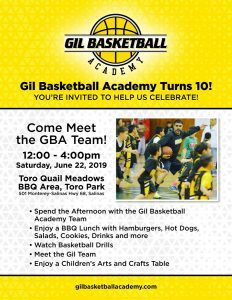 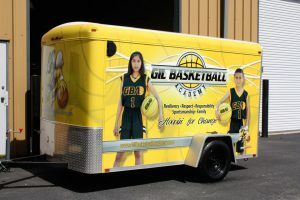 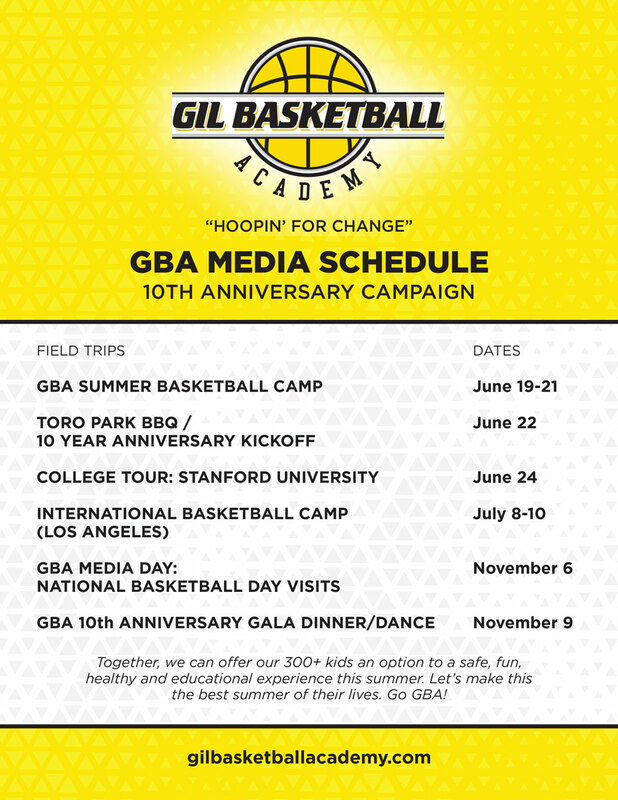 The Gil Basketball Academy prides itself on branding our work in the community visually. 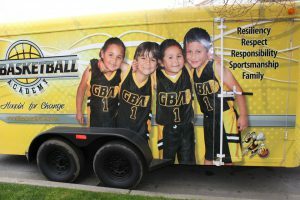 We have teamed up with local businesses to make our 2 vans, donated by MST, and our 2 storage trailers as moving advertisements. 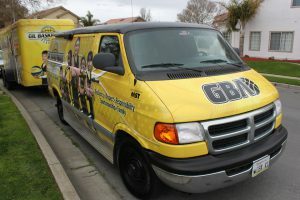 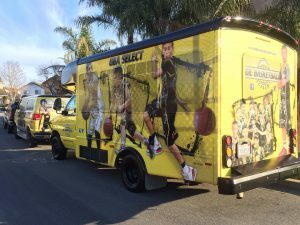 Central Coast Sign Factory has graciously volunteered their services and wrapped all of our vehicles with designs and pictures of kids in our academy.